Sepetmber 2012 Horoscopes by Maya White. How does the month ahead look for you? 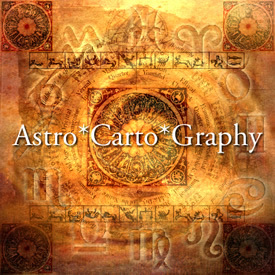 AstroCartoGraphy relocation astrology can save you THOU$$ANDS in moving costs. GET IT RIGHT THE FIRST TIME! Schedule your consultation HERE. This horoscope is completely original, and based on the planetary movements combined with my channeled guidance. Woven into these forecasts you will find words of wisdom from masters of Kabbalah and other spiritual teachers. This is my gift to you, my valued clients and newsletter subscribers. Look for YOUR star sign below. Discernment. It’s not only what you do, but how you do it, Aries. Slow down just a bit, pay attention, and you can catch a wave that sweeps you into first base. You may even get a chance to make it to second base before months’ end. Although you are often one to work alone, partnerships are the core of your energy supply now. Someone you know has critical information for you, and this wise ally can show you a way to accomplish twice the work in half the time. However, discernment is critical. Wait until the 4th before you commit to any new idea or plan of action. You are lucky on the 12th and 13th, and radically good on the 20th. Expression. Take advantage of social opportunities and make it a point to find joy in every part of your life. If you’re not feeling the love right now – just pretend, and see how quickly you come to a place of real happiness. This is your month to unveil the canvas you have been working so hard to create. Give life to this baby; it’s been a long time in the making; Let it go, let it all flow; dance, and meet this month head on with all of your power and intensity. You have true wisdom and objectivity now, but pay attention to nuances, as the unspoken messages will reveal volumes. Promises made on the 5th will be delivered by the 8th. Foursquare. Hold strong, Gemini. You are in the midst of planetary crosshairs this month and the best thing to do is ride it out and go with the flow. Humor and optimism are your best allies. The maddening part is that people around you are confused and disorganized; and this time – it’s NOT you! Be prepared for last minute changes and general flakiness while much of the responsibility ends up on your shoulders. You find happiness and make peace by keeping things light and smooth to the best of your ability. The good news – you are recognized and financially rewarded for your efforts. Smile, and embrace the sincere praise which is lavished upon you. Motion.The importance of good information is sometimes overlooked, but this is exactly what you need right now, Cancer. You need data; facts and figures, and the time to process it all. At some point this month the incoming information may feel overwhelming. This is your cue to take a weekend off and play – choose an activity that is as intense as your emotional state. Things feel hard, though not bad, now; so you need to play all out, think realistically, and come to some firm decisions. An active meditation such as walking or tai-chi can actually be relaxing for you. Spontaneity. This is truly your time to play, Leo; think of September as a leisure time momth to fill in for the mid-summer days when you were working too much. The New Moon of September 15th brings inspiration to your working life – a new project begun now holds a promise of fulfillment for both income and your desire to see it to fruition. Don’t overlook the advantage of taking a specialized class to improve your earning capacity. Some of you will be able to sneak away for an overseas adventure this month – if the opportunity arises, don’t wait too long; just pack your bags and go. Happy Birthday, Virgo.This is a favorite time of year for many, and we all love your kind ways and sensitive demeanor. Take advantage of your high energy flow now; Mars is offering a smooth ride, so keep your motor running on premium fuel. Support. How do you deal with that feeling of wanting to be free, yet feeling like it’s just not in the cards yet? Take it one day at a time, Libra. September is a month for introspection and working behind the scenes for you. You are on the verge of a major breakthrough, so, use this time wisely to set the stage. There may be some turmoil in your home mid-month – remain flexible in your attitude, and be attentive to the wishes and needs of your partners. This time, it’s more about what you can offer, and less about what you will receive; the gifts come soon. Richness. Your sign is fixed in nature, yet flexibility is your greatest resource now. You will be challenged to stretch further than you ever thought possible; take the challenge in stride and just see how much leverage you gain. Words and how you present ideas are critical to your success. Here’s the secret; with Venus traveling through your 10th house of Social Foundation, the public loves you now. Relax and enjoy the ride. Think in terms of the big picture, and go for long range plans. You function best as the tortoise this time around; slow but steady. Brilliance. Opportunity comes disguised as conversation with good friends, Sagittarius. What may seem like an insignificant comment or idea holds much more – you can actually take the idea and build a whole new source of income that also makes you happy. Give some thought to long term plans; this project may require a bit of invest met, but it pays off in a big way. You are so close to getting what you want, but the Universe is asking for a capital investment in the currency of self-belief. Take it on, Sag – the reward is worth the risk. Service. This is a critical month, Capricorn, and as usual, you are a key player. Be ready to step up and into a family situation now; it’s an important part of what you were born to do, so take it on with grace and dignity. Your life may change as a part of the events that transpire this month, but trust that this is all in divine timing. In addition to stepping into a new role in your personal life, you are redefining your role in your career and/or public image. Change is inevitable. Just think, some people wait a lifetime for the changes that can happen in a moment. Journey to Self. This is truly a time when you have to let go and trust that the higher order of the universe is guiding the way. You may wrestle with the direction, but if you are honest, it’s a relief to finally know how to move ahead. There is a quality if inevitability surrounding the events of this month. If possible, wait until the 22nd before making any commitments; you have more autonomy and fewer obligations by then. The most exciting development is that you are connecting with your true soul purpose, and moving into a lifestyle of true self – expression and fulfillment. Shining Light. Look for a total breakthrough by the Full Moon of September 29th, Pisces. There is going to be a phase of tension around the 18th – just let any irregularities play out. Your mission is to remain centered and calm in the face of any chaos or uncertainty. This is an amazing month for your personal satisfaction and ultimately the way you earn your income. Seek to recognize and respond to that special light that guides your way. You will know the outcome by the end of this year, and, I predict you’ll be so pleased. AUGUST 2012 Horoscopes by Maya White. How does the month ahead look for you? Fair Play. Successful collaboration is an art unto itself. This type of partnership implies an alliance between equals, and is where you run into difficulty now, Aries. It’s an exceptional time to work on satisfying projects with another, but there is a delicate balance which must be maintained for success. Take care that you are offering your best. You may be tempted to project usury on the face of your partner, but, be honest and give credit where it’s due. Communication is the secret to success. You’re good, Aries, but so is your partner. Deliverance. The realization that it’s not what you’re eating, but what’s eating you releases a transcendental moment of truth. Focus on quality in every aspect of your life. The food you eat must be prepared with love and ingested accordingly. Any thoughts you allow into the force field of your life must be affirming and enriching. Cultivate peace and harmony in your work and play this month, Taurus. Be on the lookout for speed bumps on the 15th as debris from a past life time shows up. Don’t’ buy into the drama and remember, you are on the positive mind set plan now. Mystery. Your longings are so hard to name right now, Gemini. The things that used to assuage your restlessness just don’t work anymore; those short diversions just leave you feeling flat. Ooh, that feeling would go away if you could nail it just right; but, satisfaction remains elusive. The answer to this ennui lies in what you have not done. What is that unfinished project, or the unrealized dream? Revisiting the past is what turns your present into a Technicolor dream. Find the missing puzzle piece and let it complete your bright new future. Expertise. Activity is swirling around you, Cancer, but your life is actually quite stable. Enjoy the days of August because you have the kiss of an angel on one shoulder, and the blessing of financial protection on the other. You have to dig deeply into your soul in order to reap the bounty, but, if you are willing to come to a place of vulnerability in your relationships, the reward will be commensurate with your efforts. Would you consider learning a new skill in order to increase your income? New abilities honed at this time are guaranteed to pay off in a big way. Celebration. Happy Birthday, Leo. It’s your month to shine, and I salute your heart and energy. August starts out with a spotlight on partnerships, and ends with a quest to explore your deepest emotions. The middle days of this journey will take you through your personal jungle of speculation and even a confrontation with the truth. Beautifully, you end up in a place so romantic and picturesque, that any challenges will soon be forgotten. The secret to success lies in your willingness to shift gears; what you get might not be exactly what you had planned on, but it actually turns out much better. Satisfaction. This is your season of deep healing, Virgo. Take comfort in knowing that all is well in the Universe at large. Yes, there are details that need your attention, but allow the mysteries of spirit to fill you life in wondrous ways. Analysis paralysis is the one thing that can dilute your joy now. Finances have been a bit of a bear with Saturn in your money sector, but this lightens up in October when Saturn moves into Scorpio. In the meantime, a wealth of information comes your way; some of it may be shocking. However, even more provocative is what you may choose to overlook. Freedom. Hopefully you are feeling awesome, Libra. Your invigorating health regime and all the new clothes should have you looking like a million bucks. The bank account may not be quiet up to par with your improved self-image, but there is always tomorrow! In September a new calling comes your way, and it arrives with financial opportunity. Think of this as your cosmic economic stimulus package; new work that is meaningful plus provides a source of income. Until then, allow August to renew your soul by releasing any old feelings of guilt and/ or other cellular residue that is within you. Mother Earth. Make your life sweet in the month of Leo. This is a time of adjustment and cooperation, so avoid stress at all costs. Slow and steady is the way to come out ahead, and you can complete that massive project if you take it in small pieces. Particularly avoid meltdown mid-month when your best laid plans are subject to a sudden revision. Lay low around the 15th – travel will be stressful and relationships, unpredictable. This month begins a new era in your career and public image, Scorpio. Think about how gravity is a weak force of nature, yet the one the keeps us all grounded. Plan accordingly. Ebb and Flow. You have been so busy juggling multiple projects that you can miss the fresh possibilities that come your way this month, Sagittarius. Look up and you will see that things are lined up nicely. You are in the zone, but you’ll have to slow down to really catch this wave. Best of all is having someone else in your life who not only cares, but is willing to pitch in and make a difference. You can rely on this partner now – he or she is ready and able to assist. Sleepless Nights. Resist the urges to rearrange your furniture Capricorn; you have much bigger things to move around. The scenario is more like a reorientation of heaven and earth – at least your version of it. Some dramatic changes will be presented to you, and others you will initiate. Take care that in your restlessness you don’t overlook critical information. Small and seemingly insignificant details are actually the building blocks of sweeping changes coming to your professional life. Quiet Reflection. Make time for your inner life this month, Aquarius. It’s critical that you find quality time for reflection and connection with your deepest inner guidance. There are many distractions, but also magical inspirations just waiting for your acknowledgement. Watch, and listen carefully to all that happens in your environment. News arrives mid-month; this may be an offer of a partnership or other type of joint venture. Evaluate carefully. The offer is good, but it needs a slight adjustment in order for it to come out in your favor. Dreamtime. Think of August as an exquisite time to clean up loose ends. Trying to accomplish too much will only add frustration to the impact that the fiery Sun ruled days have over your cool watery nature. In other words – the best way for a Piscean to get through is August is to spend long days by the water. You have a lot on your mind, anyway; you need time for reflection. Your career will be taking on a fascinating new dimension soon. You’ve paid the price of admission, now you just have to claim the laurels. Watch for fireworks on the 15th, and enjoy the 18th, which is one of your best days of the year! THE DOG DAYS OF SUMMER are here – The double star, Sirius, has long been associated with the long hot days of summer. READ MORE HERE to learn about the wisdom of the ancient Dogon people of Africa. WELCOME. To get your horoscope delivered to your personal email as well as timely astrological updates on the New and Full Moons, sign up for my newsletter. Are you facing an important decision? Astrology is one of your best sources for objective advice. Schedule your consultation with Maya White HERE. 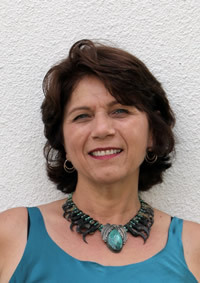 July 2012 Horoscopes by Maya White How does the month ahead look for you? It is others who will capture your interest now, Aries. The connection may be romantic, or, it might be business related; but know that your path now holds a space for influence from another like-minded individual. Saturn insures stability in this endeavor, also. Your area of growth is in communication; what you say doesn’t have to be earth shaking, but it must come from the heart. Sharing good times comes easily. The world is a stage, and you are free to act out your fantasies for this mid-summer month. The best part is that you are well prepared and it all has a ring of truth and reality. You always knew this time would come. Seek enjoyment. Your deepest emotions and longings have been met with a dose of reality, Taurus. The good feelings are getting better, and the scary ones are finding a way to healing. Although July is traditionally a time for vacation and relaxation, you are best served by maintaining steady progress at work. Finances are brought into focus, and many good things await your efforts. It’s kind of like a birthday party, but you have to open the presents in order to utilize them. It may be hard to find the right words to express your true emotions, but communication is critical now. Often the hardest thing to say is the one that grants the most freedom when expressed. Have courage. Accept all the good things that are coming your way, Gemini. It’s your turn, so enjoy it. That offer that sounds too good to be true actually has merit. There is an adjustment required, but the situation is sound, so you might as well figure out a way you can go for it; speak out and negotiate for what you want and need. Get in touch with your confidence and joy, now. Figure out how you REALLY feel about things; sometimes our busy minds can get in the way. This is also your time to express those feelings. You must have recognition above all; if it’s not forthcoming, you have your answer. Open your heart. Happy Birthday, Cancer baby. July is a sweet time of the year; be sure to get your enjoyment quota. The Full Moon of July 3rd brings you to a significant turning point. It’s about personal power and what you will or won’t do in order to get what you want and need. Like in play, the Universe presents a perfect protagonist. Who is causing problems now? Examine the situation carefully, for therein lies a golden nugget that grants you freedom for the rest of your life. Once you come to an understanding, and then take action – you’re golden. Hold the course on the 17th and 18th when temporary discord appears. This problem is revealing an area of vulnerability; take it in stride and make things right. Take action. Although you feel ready to burst out of your seams, now, proceed thoughtfully and carefully, Leo. Visualize yourself navigating a wild river with eddies and hidden logs; slow but steady progress gets you where you want to go. What’s best about this time and situation is that you are in an excellent position to garner long term gains. Hold firm on your vision because so much that you have been working for over the past few years is close at hand. Summer parties and your long term goals, unfortunately, don’t mix well at this time. Avoid the temptation to fill these golden days with time wasting activities. Giving birth requires a concentrated effort –and this is your season. Cultivate peace. You are in the perfect position to reap a financial harvest, Virgo. Things line up nicely, so utilize the advantage of a situation which lines up exactly like you want it to. You’ll know when the time is right; it feels smooth, and things come together in a ‘hand-in-glove’ way. Often when everything gets perfect, the Universe delivers a test of your resolve; be ready for such a test and keep your eye on the prize. Some of you will be revisited by an old flame – others find distraction in the needs of a child. Remember those good times from the past, but be clear and concise on what you want for your future. Speak up. Finally your energy level matches your ambition. This is your kind of energy, too; smooth, smart, and comprehensive. The pieces of a gigantic cosmic puzzle are finally ready to shift into place. Are you ready for this grand cosmic alignment? Your challenge in this time of transition is to remain open to core changes in your housing or work situation. You may find yourself the recipient of a sudden change of plans, but, take it in stride because any adjustment now will quickly improve your situation. Our goal is in sight if you only remain confident. Practice perseverance. You exercise the ultimate power of interpretation over the events of your life, Scorpio. And, when you remain positive, the Universal Law of Self Fulfilling Prophecies is activated. In other words, positive thinking yields positive results; it’s all about your expectations. One of your special gifts lies in your intuition. When you combine your instincts with calculated judgments you are unstoppable. You long for reliability, yet when you remain guarded, loyalties can be compromised. Open up and give that which you are longing for. Your open heart will quickly draw all you desire into your everyday experiences. Allow joy. In the same way that a great meal satisfies your hunger, you are getting much of what you need now, Sag. Maybe everything is not exactly perfect, but, you have been around long enough to realize that getting almost everything is quite filling, and it frees you to pursue your need for discovery. There are lingering emotional issues that remain unspoken; give careful thought about how much needs to be said versus that which can remain unsaid. Figure it out, and if you have resolution, put it to rest. There are new and exciting vistas to explore, Sag; choose your destinations and be mindful of the journeys. Flow with grace. This is a peak month for you, Capricorn. It feels like everyone is looking to you to solve their problems, but you are a natural go-to person, so take the reins and get the job done quickly. You have deeply personal decisions to make now. How do you feel about facing a career upgrade along with a new era in personal relationships at the same time? The best way to proceed is practice your level of mastery; excellence is your canoe and effort is your paddle. Yes, the situation asks for a bit of elbow grease, but the rewards are grand. Remember, you can ask for help; you’ll be so pleased at who shows up. Shine brightly. Dealing with an outspoken partner can be distracting. Instead of resisting the unwanted noise, let him or her take on the role of protector. This saves you from having to deal with details, because you should really be looking at the big picture now. Extra money comes through teaching or coaching. You have moved into a leadership or mentor role now, Aquarius; prepare to take on the responsibilities that come with this opportunity. You are in a perfect position to breathe life into a fascinating new project. Your unique talents and perceptions are going to make all the difference. Get wild, go all out, and make it good. Be happy. Your motivation can be at an all-time high, Pisces, if you let it flow. Get enough rest, and once you are revitalized, you can dig into and clean-up projects that have been begging for your attention for years. The excavation of your past may be unnerving, but don’t stop because you are in the perfect time and place to truly cut old ties and set yourself free for a new beginning. One of the best jewels you will unearth is a treasured part of yourself that has been lying dormant for a long time. July is a month of reminiscence combined with effectiveness. Add a touch of your special magic, and you are golden. Embrace richness. WELCOME. To get your May horoscope delivered to your personal email as well as timely astrological updates on the New and Full Moons, sign up for my newsletter. How does the month ahead look for you? Turning on point requires a delicate balance of momentum refined by precision; it may look easy, but in reality, it’s an acquired skill. You have been preparing all of your life for this moment, Aries. Like a gymnast, you need to plant a solid landing. Take comfort in knowing that you are allowed a few practice runs, and each time you will gain momentum. You are spinning your dreams into a new reality now by weaving a warp and weft of time and space. Don’t waste too many precious days running in circles this month. Small things deliver great value now. Pay attention to detail, as it is the little pictures that tell a big story. The Full Moon of June 4th brings mystery to your 9th house of wisdom and higher mind. Something is missing, but you just don’t know what. The New Moon of June 19th presents new opinions to your 3rd house of intellect and learning. Things become clear by month’s end as missing information is suddenly provided. It doesn’t matter whether you are young or old – you feel the weight of responsibility now. This can be a burden, or a gift; you decide on the interpretation. The secret here is to stay current in your allegiances, as many old obligations are no longer relevant. This may be shocking at first. You, always so reliable, are now being called to a new horizon. Honor you need for systematic change. As much as you’d like, you cannot just abandon the structures you have so carefully crafted. However, know that true transformation has arrived. The Full Moon of June 4th grants satisfaction to your 8th house of mystery and psychic power. Letting go gracefully is an acquired skill for your sign, Taurus. The New Moon of June 19th adds value to your 2nd house of money and self-worth. After you have let go of what used to grant security, enjoy the fruits of your new endeavors. Let your heart and soul be the guiding lights now, Gemini. Venus is making special moves in your sign – honor her by opening the doors to your inner sanctum. Do some soul searching and get really honest about your desires. Now is not the time for head thinking, rather, heart longing. You have come to a place of freedom; however, this can also be a point of instability. People or situations that appear to be holding you back may just be providing necessary grounding. Think about it. The Full Moon of June 4th delivers questions to your 7th house of relationships. Due to the nature of the lunar eclipse, the situation may change, but the person may remain; this could be good. The New Moon of June 19th seals the deal in your 1st house of self. Long held questions are answered now. June is always your month to deal with the past, and this year is no exception. In fact, 2012 promises to be memorable. With so much activity in your 12th house of endings, it is time to let go; you will know exactly what is needs. Know that there is a diamond concealed in this situation – something rare and precious that will last for a lifetime. In addition to a treasure, there is also much love. Cherish all of these emotions. You feel much lighter after Summer Solstice on the 20th. Make a special day on Saturday the 23rd to be by the water; this is mystical day and it will grant you both clarity and release. The Full Moon of June 4th solidifies your 6th house of mastery and practical matters. Move ahead with confidence and know that you are capable of any challenge. The New Moon of June 19th finalized your 12th house of karma and endings. All is well, and you have a new found sense of peace. The Venus transit of June 5th lights up your 11th house of long term goals. It also delivers completion to a many years of questions regarding your community, and how you fit into the matrix of your everyday life. You will be offered a key position this month; it may feel slightly out of your realm, but, consider that it offers insider connections. The expansion that is required as you merge these two worlds creates a new room, and you can unlock the door. Good news arrives on the 29th. The Full Moon of June 4th inspires your 5th house of creativity and childlike play. The Universe has a great idea just waiting for your participation. The New Moon of June 19th presents new opportunities within your 11th house of hopes, wishes, and long held plans. Like a river converging, many forces are coming together for you now, Virgo. The puzzle pieces are flowing together nicely, and finally, you can see the details housed within the big picture. Your energy is good, and your spirits are buoyant. You’re even ready to take on the new opportunities presented in your career path. What may at first appear to be a challenge is just a small tributary of this wide river that will deliver you to the next step on your journey. Jump in, the water is fine. The Full Moon of June 4th delivers resolution to your 4th house of security and inner foundation. You may be ready to make a move, or to harvest the reward of your hard work. The New Moon of June 19th presents new possibilities to your 10th house of career and public foundation. Embrace the opportunities that come your way – one of them is the ‘real thing’. Nail every little thing down this month, Libra, especially the facts. You don’t need any more mysteries in communication. This requires extra effort on your part, but, you want to have this information at your fingertips to address questions that arise before month’s end. Some of what you hear may not be to your liking, so, this documentation is simply a part of natural self-preservation. June also whispers about changes coming to your personal life – just pay attention. You have plenty of time. The Full Moon of June 4th upsets your 3rd house of documents and written information. The lunar eclipse suggests that important papers may be lost; be extra cautious and do not take chances regarding mail or other proxy services. The New Moon of June 19th stimulates a new interest in your 9th house of wisdom and travel. You are ready for some new horizons, Libra. In the meantime, plan a trip and enjoy it to the max. A long held dream is ripe for harvest this month, Scorpio. The finish line is in sight; you may be weary but remain energized as the final touches are completed. This is completion of something that was taken away eight years ago. Maybe you weren’t ready to handle it at the time or perhaps the ebb and flow of life was just too much for you to bear. However, you are whole now, and ready to accept the responsibilities (and paperwork) that come with your gift. The Full Moon of June 4th brings changes to your 2nd house of earned income and self-worth. The New Moon of June 19th initiates a mystical new journey in your 8th house of legacies, power, and shared resources. Just when you thought you had the game figured out, the rules change. Such is the nature of the full moon lunar eclipse in Sagittarius on June 4th. The bottom line here is to maintain a connection with your true emotions and not bow to pressure. And, Sag, there will be plenty of pressure in the upcoming months. The outer planets have opened a doorway into your soul. The heart path of your sign is living a truth that sets you free. What gets overlooked is that your path is also one of wisdom, and therein lays your strength. The Full Moon of June 4th initiates reconsideration to your 1st house of identity. The New Moon of June 19th can bring a new beginning to your 7th house of relationships. This may be a renewal of vows, and opens the door for a fresh start. June has a few surprises in store. Your sign has a peculiar connection with family, Capricorn. Although you think of yourself as autonomous, yet there is an undercurrent of heritage that never leaves. Who you are, and where you came from are issues that merge to the forefront now. Some will find long held secrets emerging from the family closet; others are asked to reveal such information. Either way, this is a season of truth and justice. And, that which is brought forth now sets you free. The Full Moon of June 4th shines a light on your 12nd house of karma, endings, and secrets. The New Moon of June 19th initiates a grand new start to your 6th house of mastery, work, service, and practical matters. June emerges as a dynamic contrast to last month. Are you ready to reveal your genius, Aquarius? Take it on – your energy is good, and your inspiration is at an all-time high. Prime the pump with physical exercise and a remembrance of your natural state of joy. Remain flexible in your expectations; what appears to be a major snafu early in the month can be viewed as a minor inconvenience by the 23rd. Protect your original ideas through legal means if necessary; consider a formal confidentiality agreement. The Full Moon of June 4th bears pressure on your 11rthhouse of hopes, wishes, and long held goals. You have ‘it’, but somebody else wants ‘it’, too. The New Moon of June 19th sets you free in your 5th house of creativity. Make time for play. If you’ve considering a child, this is the perfect time to make the commitment. For those of you who are unattached – June comes with a promise of love. If you don’t actually meet your soul mate, you will finally feel his or her presence. Venus delivers a present on the 5th; it may feel as though she had taken the gift away back in 2004, but such is the way of the Universe. Venus has been on many long journeys since that time, including to the underworld. Who are we to question her path? Be cautious with finances this month, Pisces. Do not bow to pressure regarding timing and payments. If the deal looks too good to be true, it is. The Full Moon of June 4th completes a cycle in your 10th house of career and social presence. This phase of the work is done, and you are ready for a change. The New Moon of June 19th opens a deep longing to your 4th house of home and inner security. You have given much in the past years, now it’s time for some personal days.